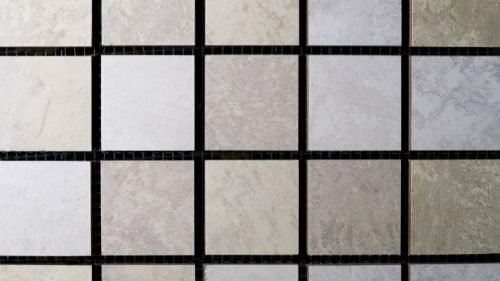 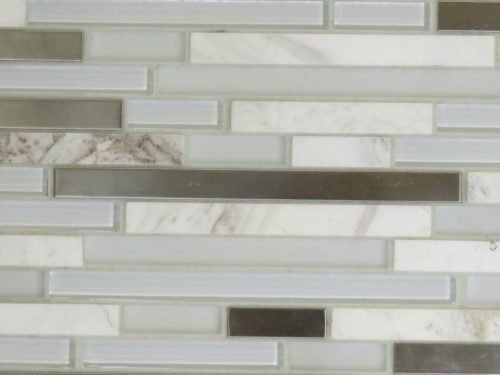 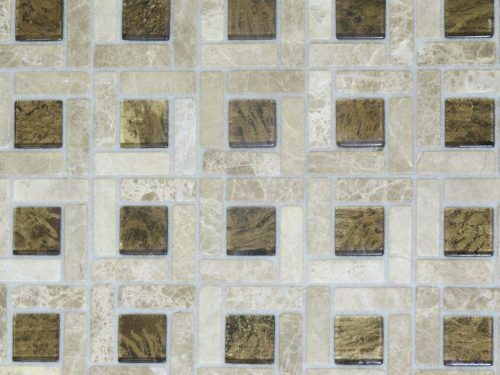 2x2 Hexagonal Crosswood Seagull - PCC Tile Professional Ceramics Co.
An opaque glass mosaic that is suitable for shower floors, backsplashes and accents. 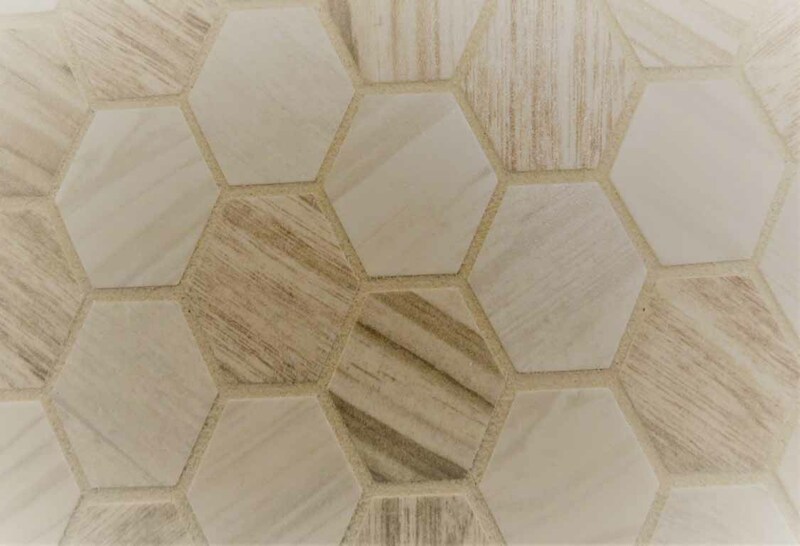 Pairs well with warm tone wood look and light grey wood look tiles. 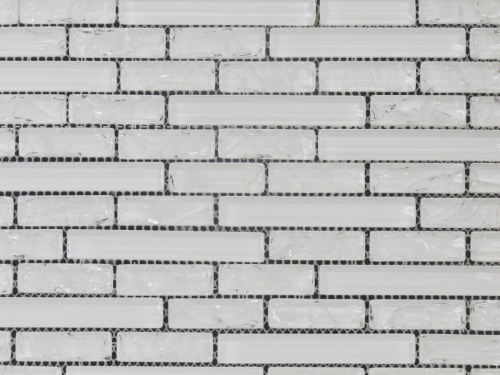 Manufactured by American Olean.